“I raced many bikes, build many, and tested around everything produced since the 80´s. But some bikes stand out, and over the years you have a tendency to make them even more fantastic or bad than they might have been. One bike stood out more than any other bike; My 2001 CR250. I got it at the end of 2001, and kept on racing it to the end of 2007, when I finally was “convinced” like everybody else that big four-strokes were the way forward. 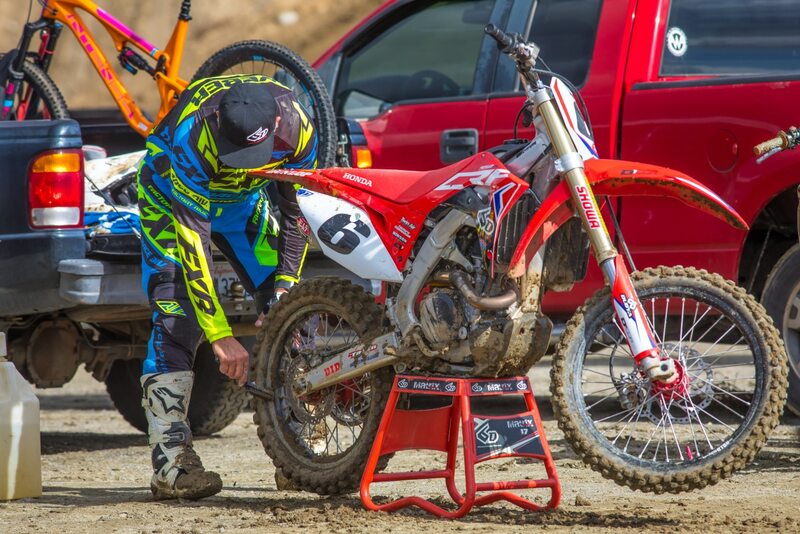 “I still insisted to own a Honda two-stroke, so I got a brand new 2007 Honda CR125, just so I’d never forget how real motocross bikes was supposed to be. I raced 250F´s for some time, had different 450´s but never really liked the big four-strokes. Yes, they were fun, easy to ride, but heavy, dull, and boring. “Some of the fun was gone. It was not until I tried the KTM 450SXF 2016 model, that I started to see that 450´s could be fun bikes. “I tried the newest 250 two-strokes, but did not really like any of them. 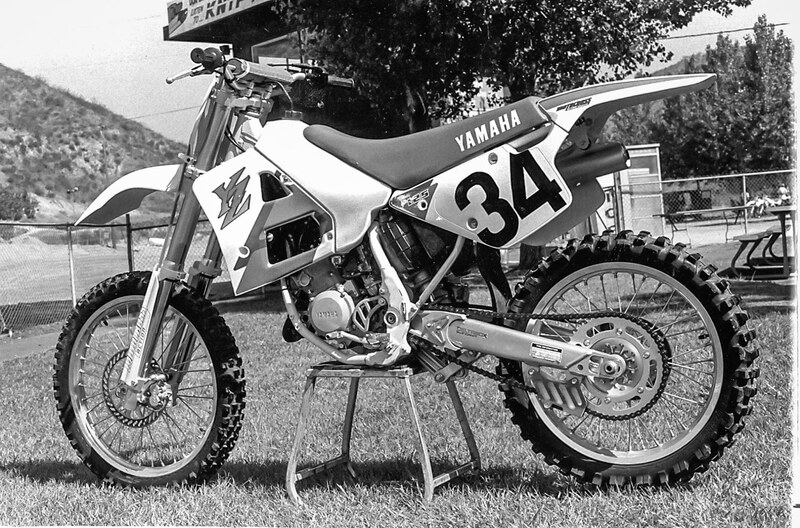 The YZ is not new anyway, the TM is fine. 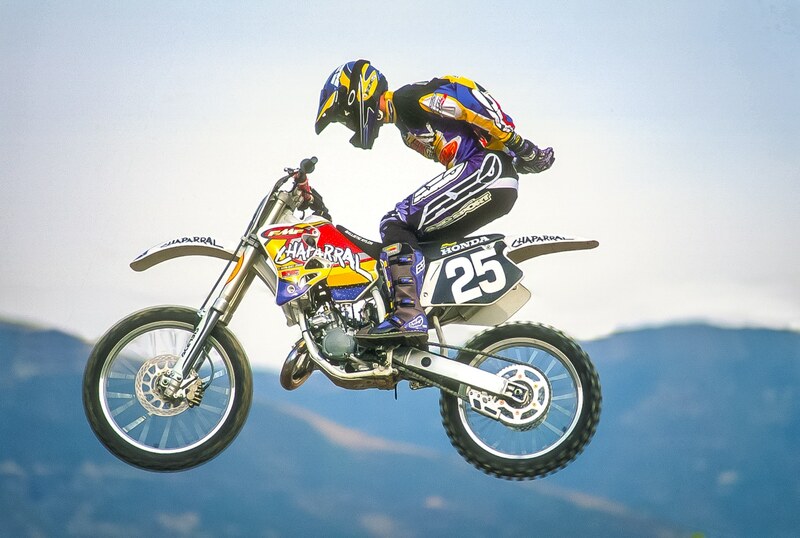 The SX and the Husky, have no top end, and all the time I still had the 2001 CR250 engine in the back of my mind. SOLUTION: “My friend Benny and I decided to be serious about it. We drove around most of Scandinavia on the special Honda hunt. Benny found a CR125 06, that had 20 hours on it´s back. I found up north in Sweden a 2001 CR 250, that never had been raced on tracks, and had 50 hours on the clock. “Benny´s bike was super fine, but when I got my 2001 home in the workshop, it looked a little old school on many points. Okay! 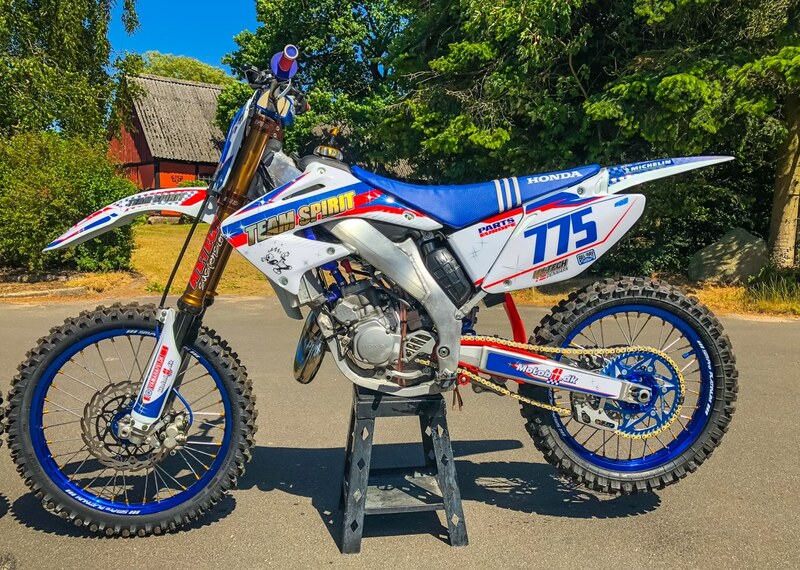 The first idea was to build a CRF AF bike, but that had been done by many, and I know there is a big difference in building a nice custom bike, and creating an effective racing bike. “I did not want a glimmer bike, I wanted something I could beat the crap out of, with a big smile on my face while I´m doing it. “So I drove back to Sweden and bought a 2004 CR250. The decision on the 250´s was to use the ’04 frame, with the ’01 engine, and because I wanted a NEW bike I went a little berserk on the details. New Crank, nikasil, clutch, bearings, piston, membrane, exhaust system, did a lot of blueprinting, and optimizing, on ports and cases. I did not want to change the port timings, but just wanted to do what the factory never wanted to use time to finish. “World’s best front brake exists on a TM bike. Brembo caliber, and a Honda master, so therefore I took a 450SXF fork, triple clamps and all, modified it all, and made it fit on my Honda. 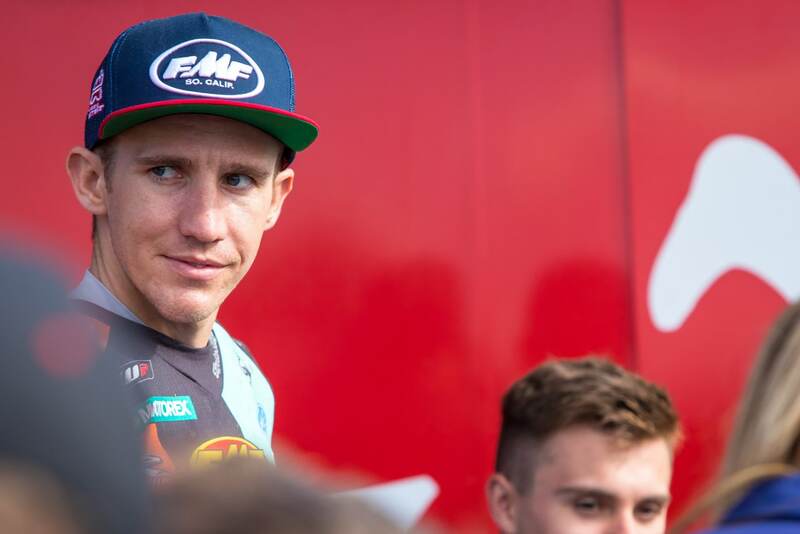 “Benny´s 125 did get the same engine job even though his bike only had the 20 hours ride time. We insisted to make “new” bikes, but better, so he also got a new crank, ceramic bearings, we even got the new crank balanced out, to make sure that those engines would rock. I knew that the stock CR engine did not have much top end, and if you start to work on it, you lose the bottom, but the decision ended up being: mid and top end until the cows come home, and we made sure that there was a life after dead. 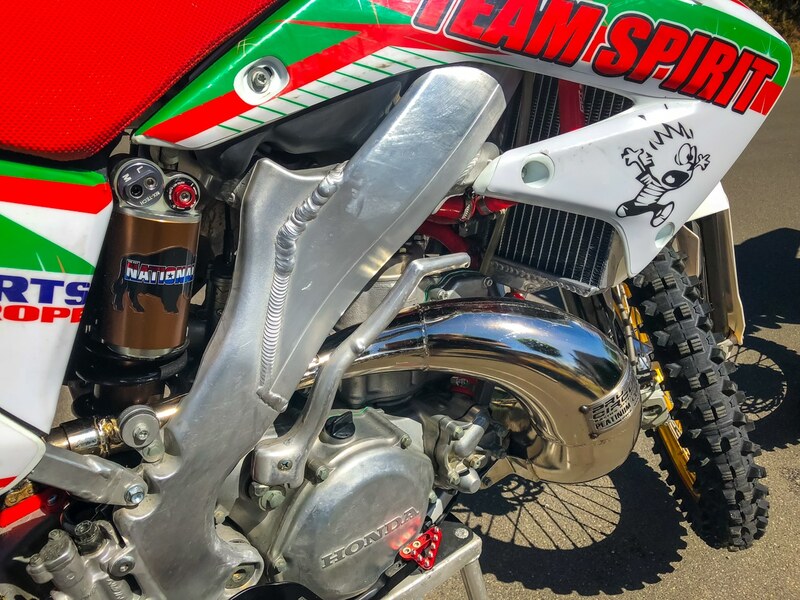 “The 125 got a 2016 CRF450 front fork, and a 270mm Moto Master brake kit. We threw away the air internals on both forks and installed the new MX-Tech Lucky spring kit. 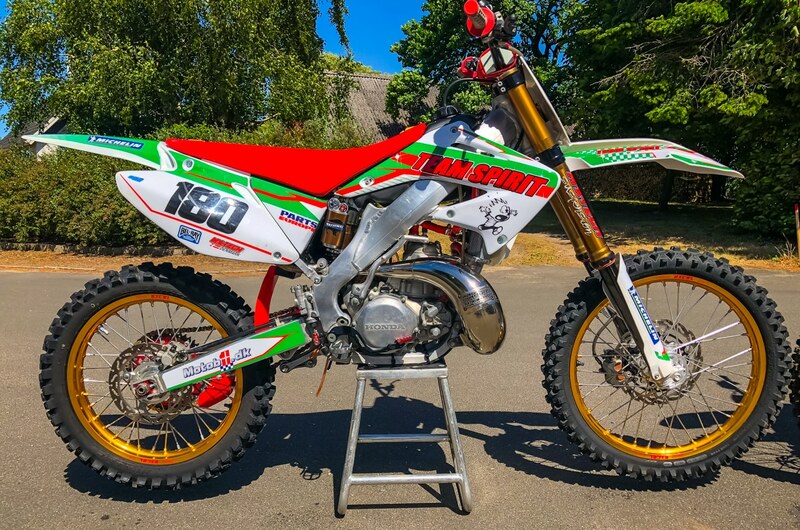 CR 125: “You gotta love this bike! It feels light, brakes are perfect, the engine screams to the moon, and the suspension eat up everything. CR 250 : “Surprise! It is true that the new KTM 250SX hit hard right from the bottom, better that anybody else, but the CR250 engine is just something else; due to the engine work, that engine is not hard hitting. Nope! It is super crisp and fast right from the start, it does not come on with a bang, it just getting stronger and stronger all the time, and best of all, is revs like a 125. WHAT DID WE DO TO THE LEFTOVERS FROM THE 250 BUILD? 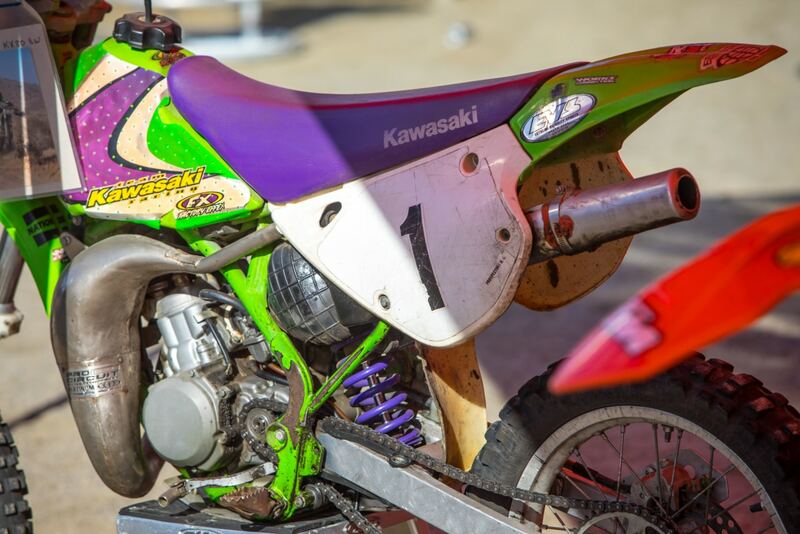 “We made a 2001 CR250 with the ’04 engine, upgraded everything, and gave it to a promising 15-year-old 125 B-class rider, so he could grow some A-class muscles. We got a problem now; he loves that bike so much that his new 125 is standing in the garage collecting dust. 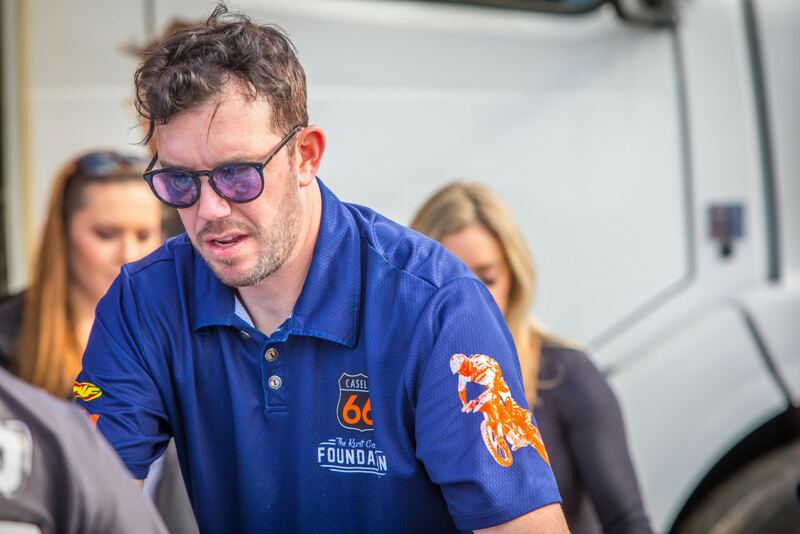 “We made the kid try all the kinds of bikes he can swing a stick at, and then asked him; ‘If you could get any bike you want for next season, what bike do you want ? 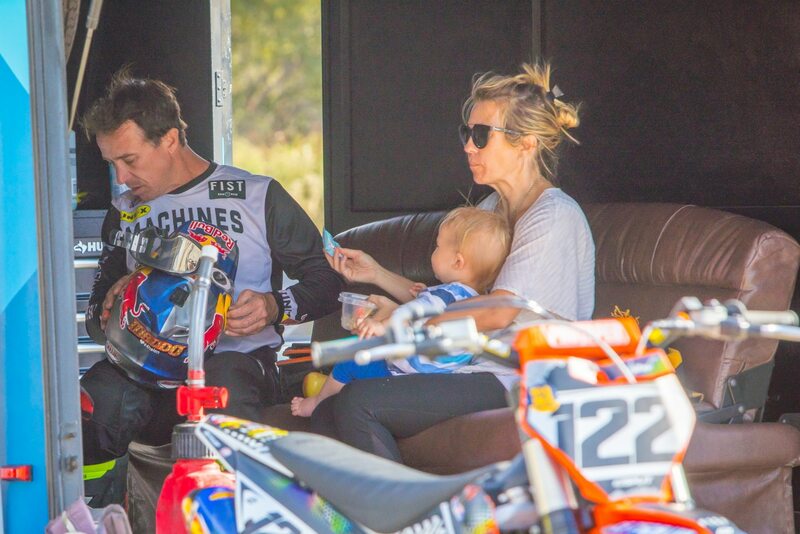 ‘I just want a CR250, that is the most fun, coolest bike I ever tried.’ ” –Scandinavia’s Morten Larsen. EDITORS NOTE: Please keep those submissions coming. If you would like your bike to be featured in the “Two-Stroke or Four-Stroke Spotlight,” please email me at darylecklundmxa[email protected]. All I ask is that you give a breakdown of your bike and a detailed description of the build. Please also send a few photos of your steed. 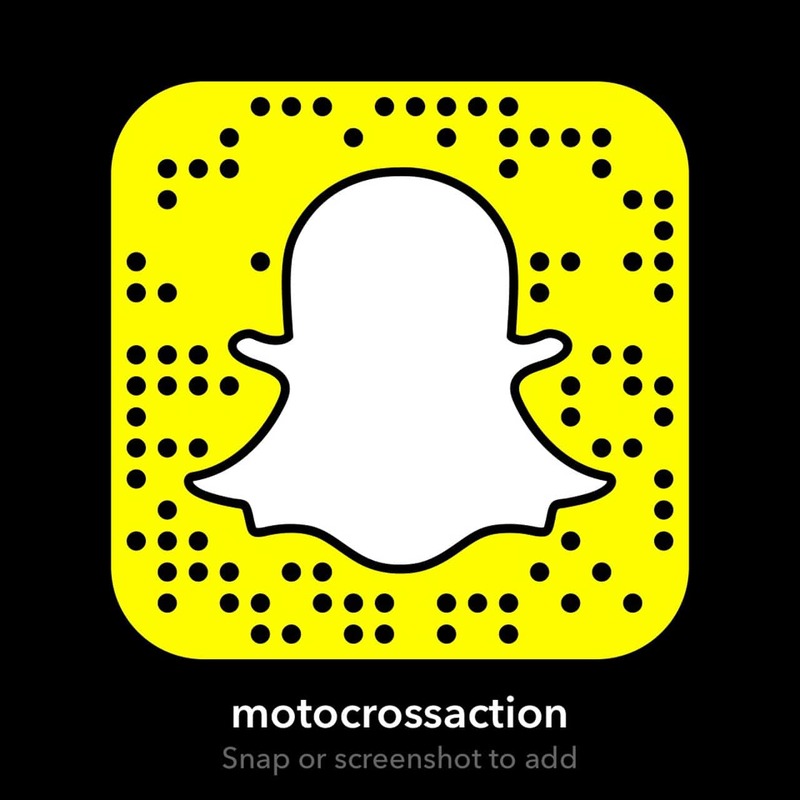 By submitting your bike, you agree to release all ownership rights to the images and copy to MXA. Please don’t email me spam or try selling me Taylor Swift concert tickets or email me spam. I already celebrate T-Swizzle’s entire collective, and there will be “bad blood” if you send me junk mail. See what I did there? Happy submitting your smoker. Kurt was there making sure everything went smoothly. 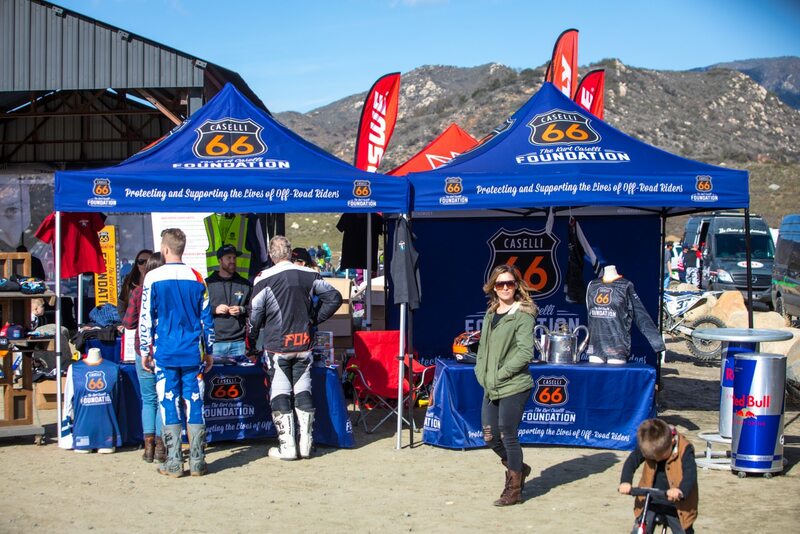 The 6th annual Kurt Caselli ride day at Fox Raceway in Pala was a packed house. Racers, fans and vendors came from far and wide to support the event. It was awesome to see the impact Kurt is still having on people’s lives from above, more than five years after his passing. 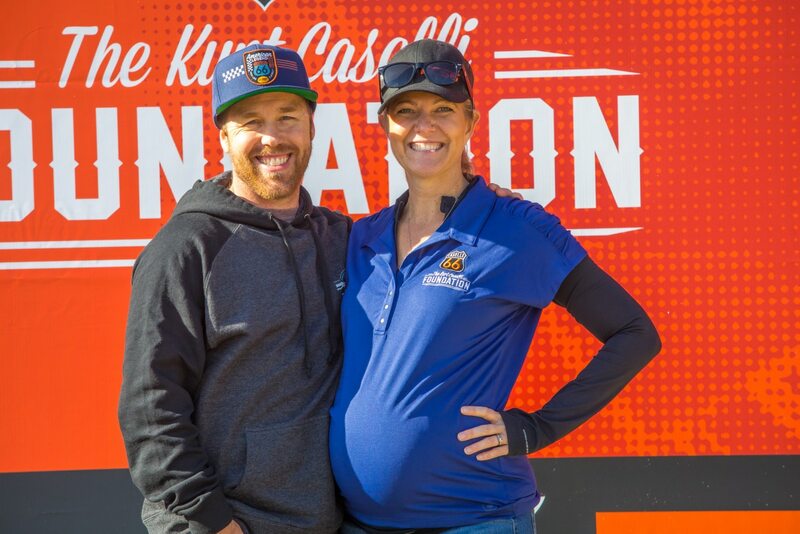 The Caselli Foundation gave out three scholarships, a new KTM 300XC-W, Pros like Jeremy McGrath and Jeff Emig teamed up with average joes for a team race and a whole lot more went on. KTM was there to show support. 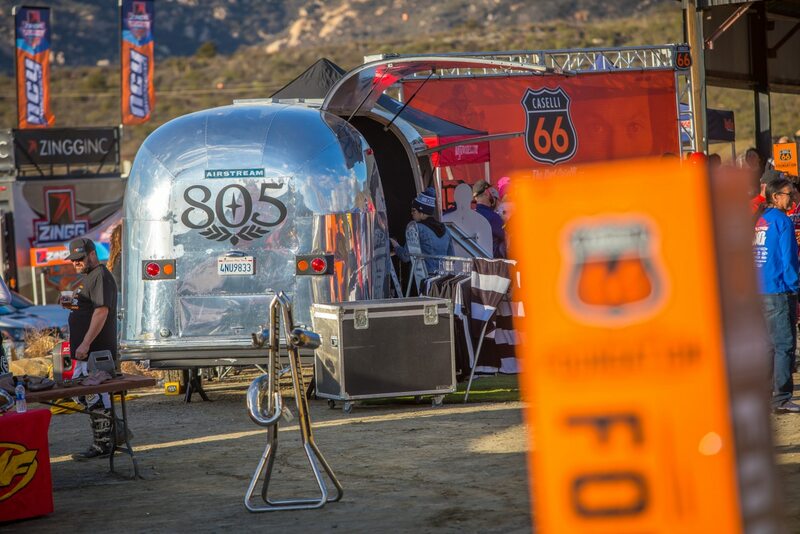 805 came out to give out adult beverages. 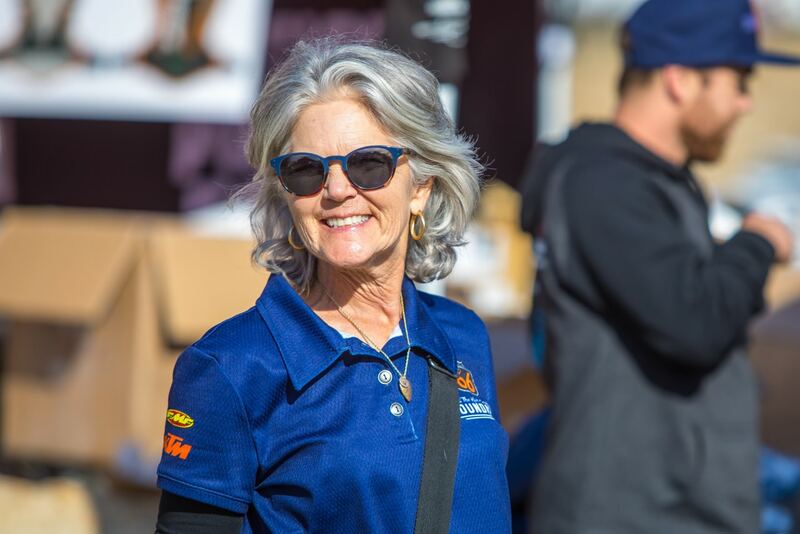 Nancy Caselli, the heart and soul of the fountain was all smiles. This was awesome to see. 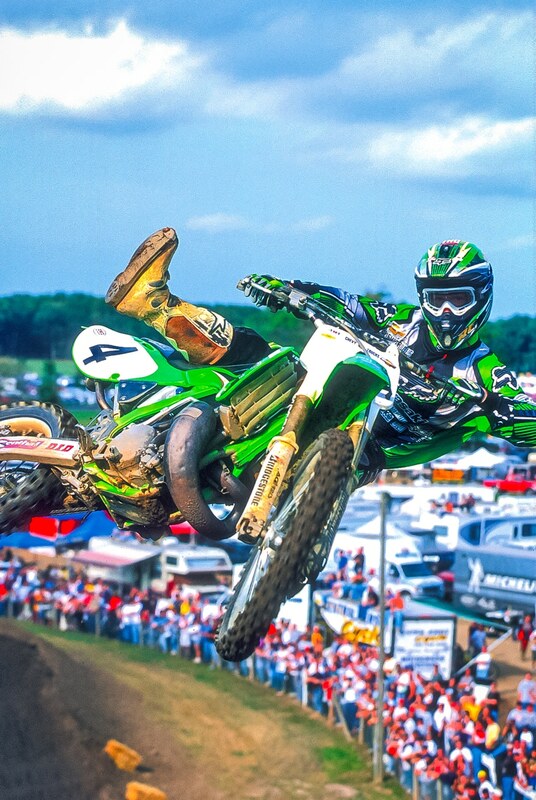 Someone found Kurt’s old KX80 from back in the day. 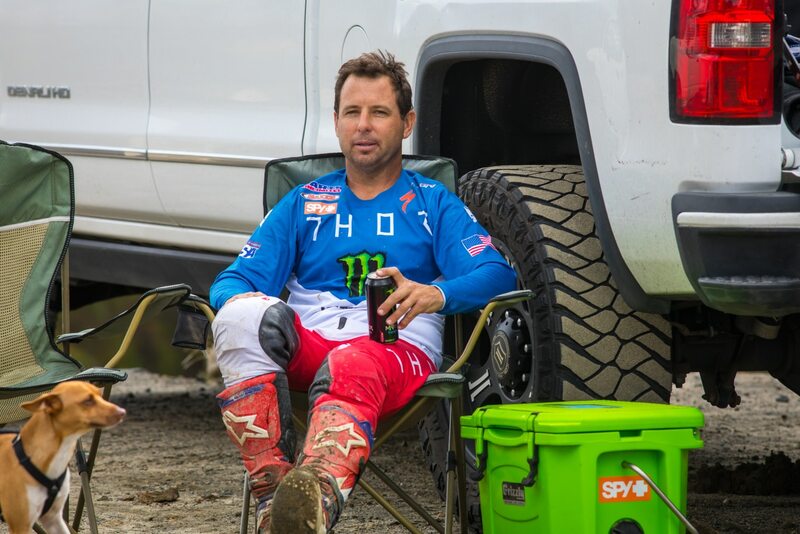 Jeremy McGrath taking a breather before the team race. 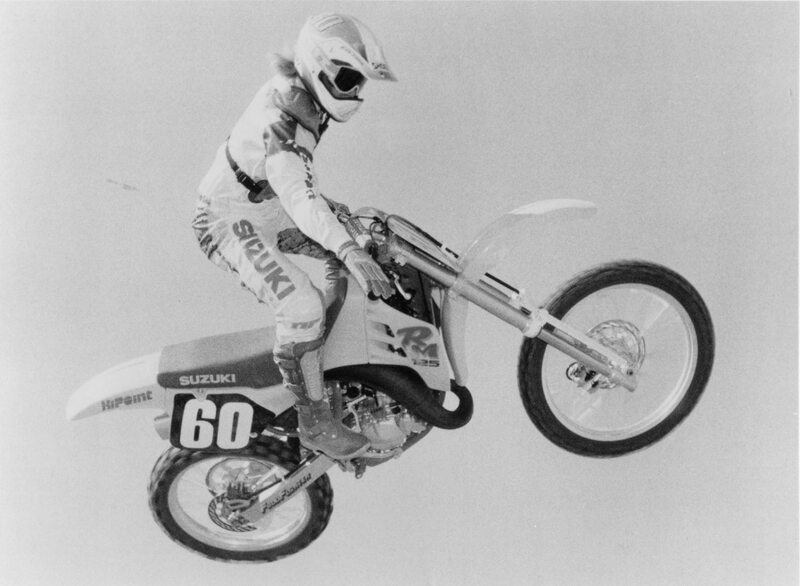 MXA’s Dennis Stapleton was one of the Pro’s that got teamed up with an average joe. Their team was winning until the last lap. 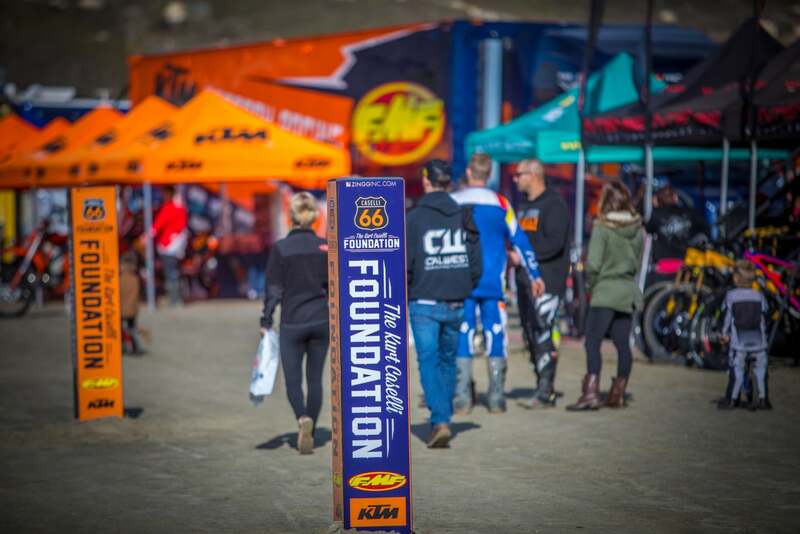 This event wouldn’t be what it is today without the help from FMF’s Little “D”. 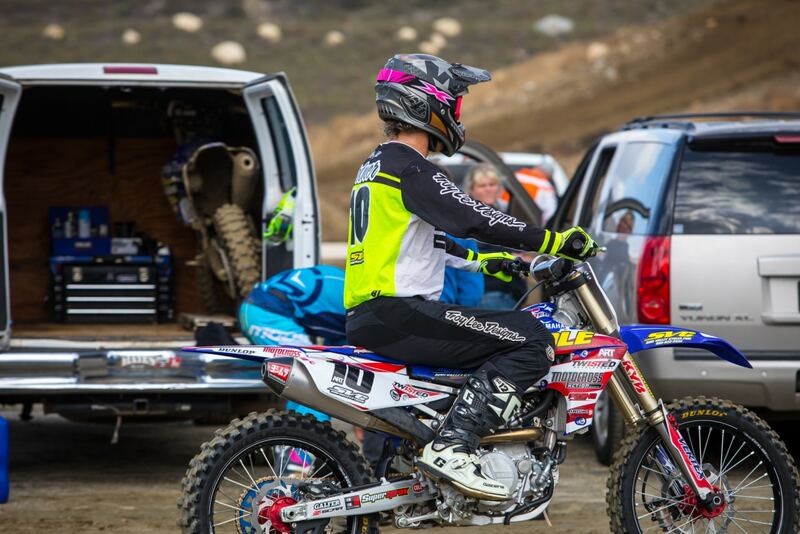 Having the KC Ride day at Pala was a good change as there were more tracks to ride for a variety of skill levels. 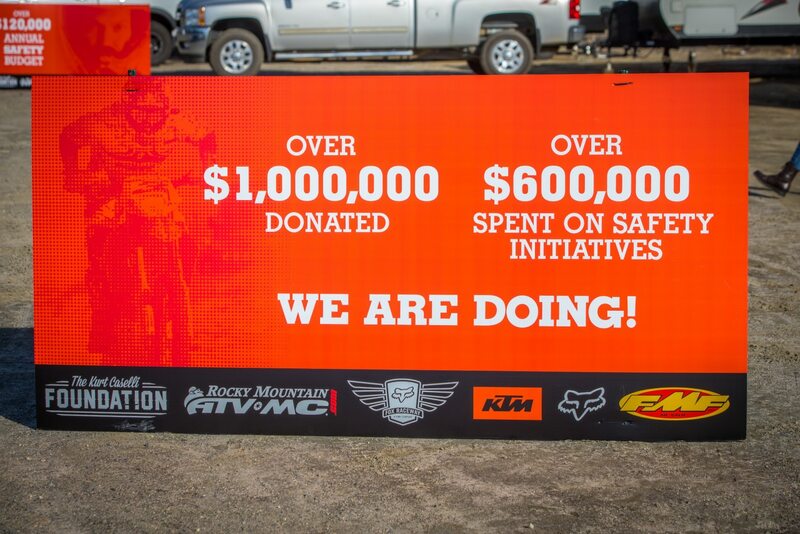 So far over a million dollars has been donated! This is Kurt’s sister, Carolyn, and her husband Kale. Kurt’s once fiancé, Sarah and her mom were the ones working the 805 beer counter. Kurt’s old friend, David Kamo is now part of the foundation. Dave Brosius was the announcer for the day. This was Kurt’s old truck. 6D’s Bob Weber was out riding. 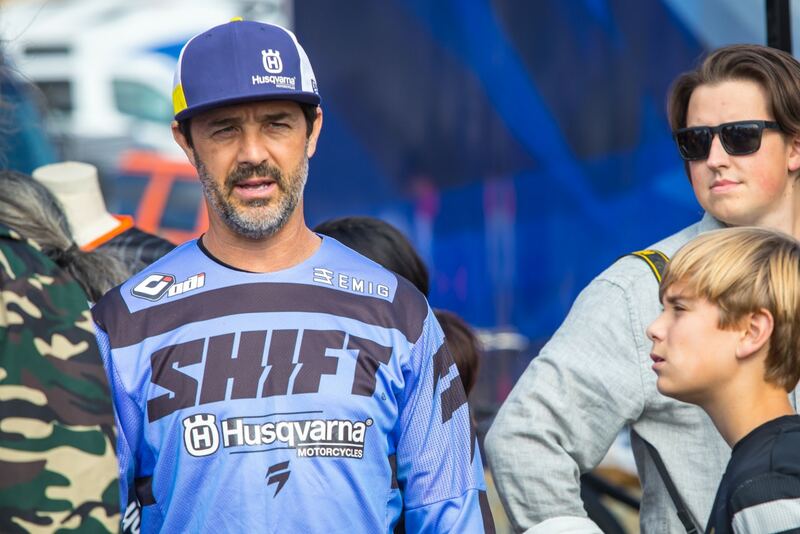 Jeff Emig was out to support the cause. 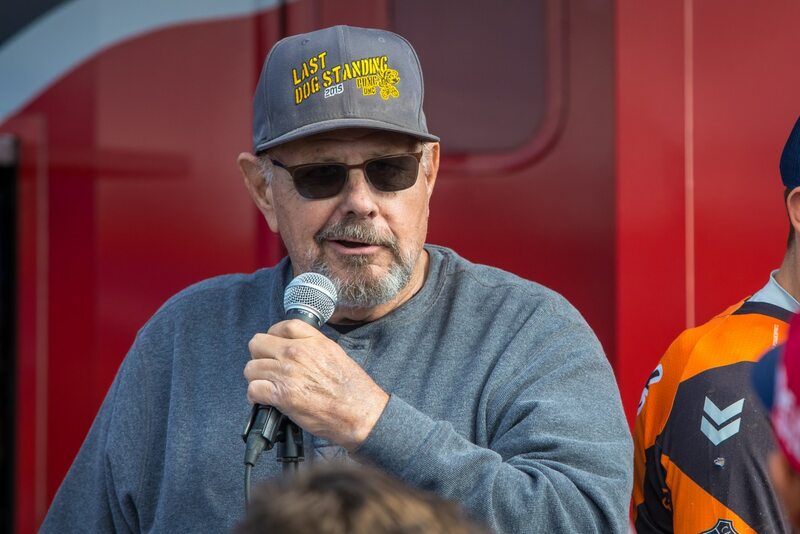 Jon Ortner was seen roaming the pits. 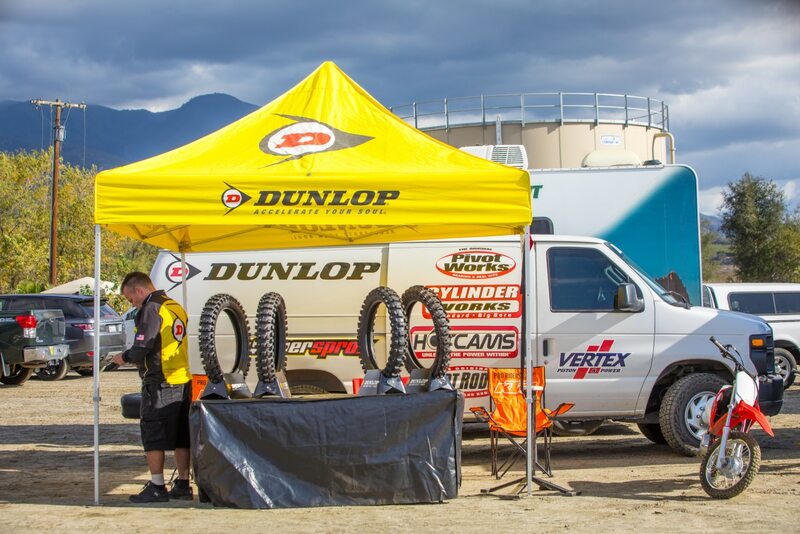 Dunlop was setup for the day. 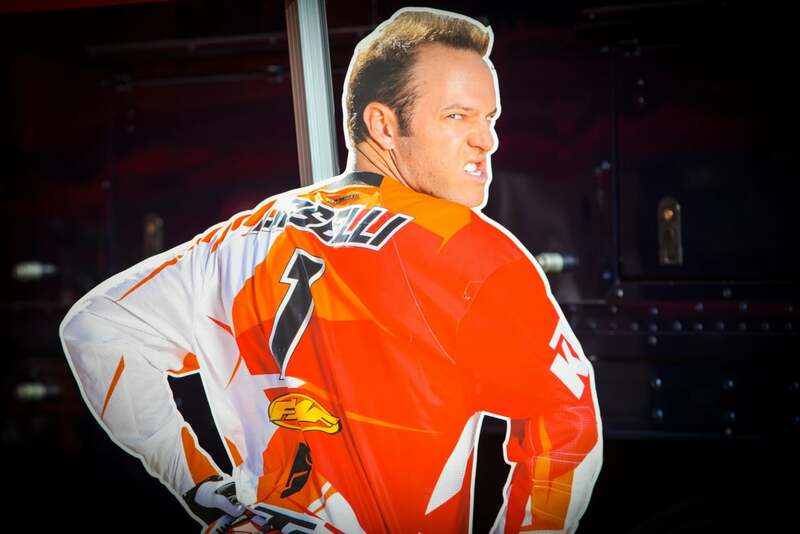 Taylor Robert’s was a teammates of Kurt’s throughout many ISDE races overseas. 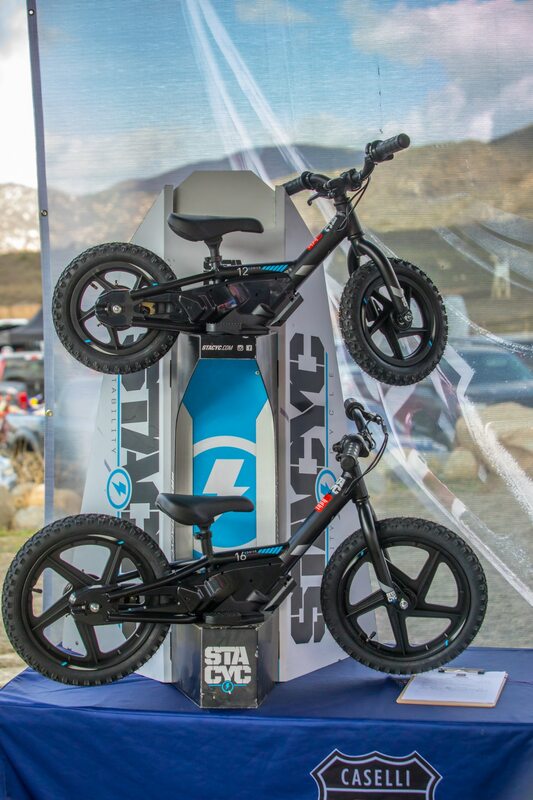 Stacyc kids electric bikes were available for the silent auction. 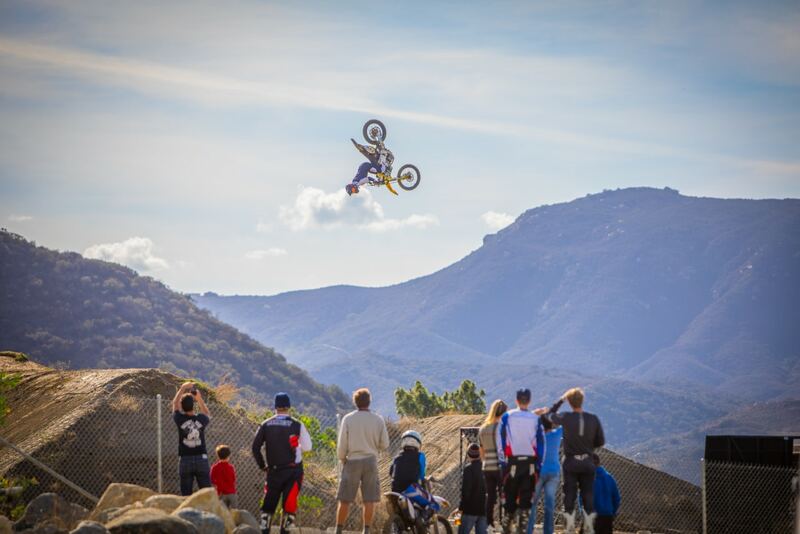 Freestyle riders put on a show for the crowd. Intense bikes were giving out free demo rides. 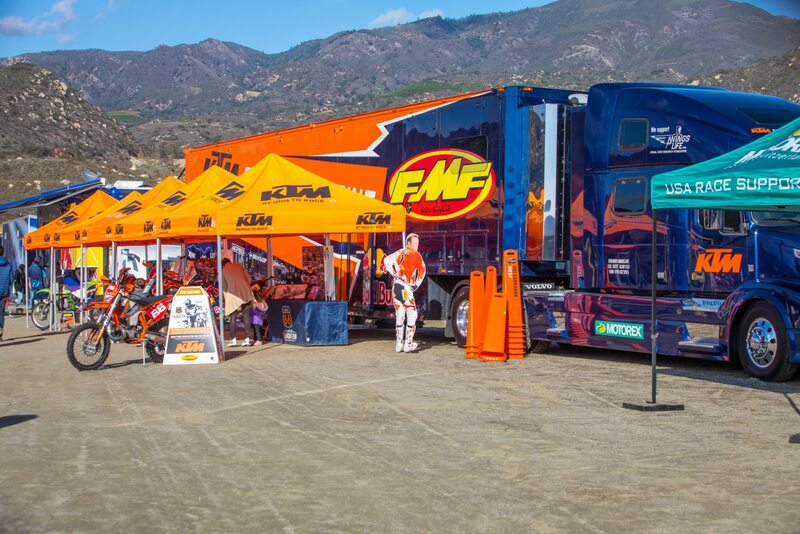 FMF was a huge part of the event. We are excited to see what next year brings. Do you subscribe to MXA? You should. We know that you think that print magazines are dead and that the internet will fill the void, but most of the stuff in the current issue of MXA won’t appear on the web for several months, if at all. Luckily, you can get all of MXA on your iPhone, iPad, Kindle or Android by going to the Apple Store, Amazon or Google Play or in a digital version. 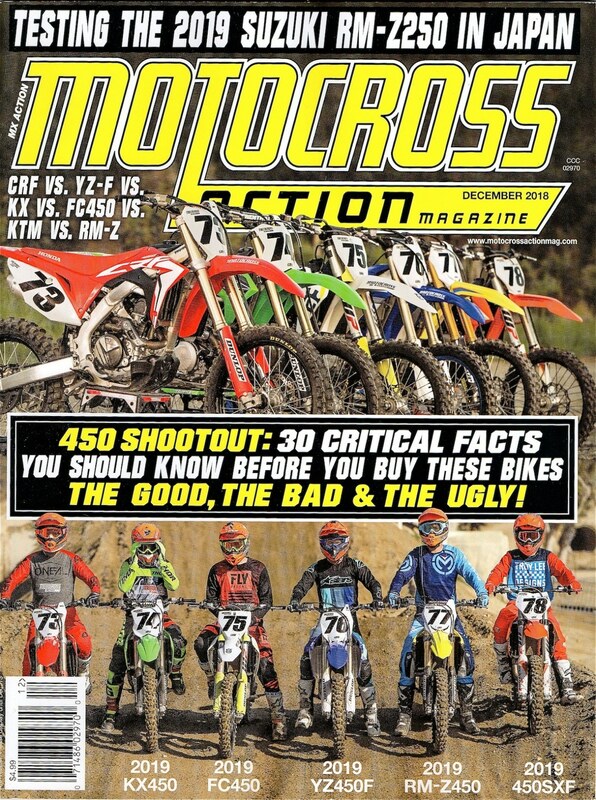 Even better, right now, a subscription to Motocross Action Magazine is on sale for $16.99 just in time for the holidays. With that subscription you will receive a $25 Chaparral Gift Card to spend on whatever motorcycle parts or products you need. This is a deal that you will make money on. This is the lowest price for 12 issues of MXA. Don’t miss it. 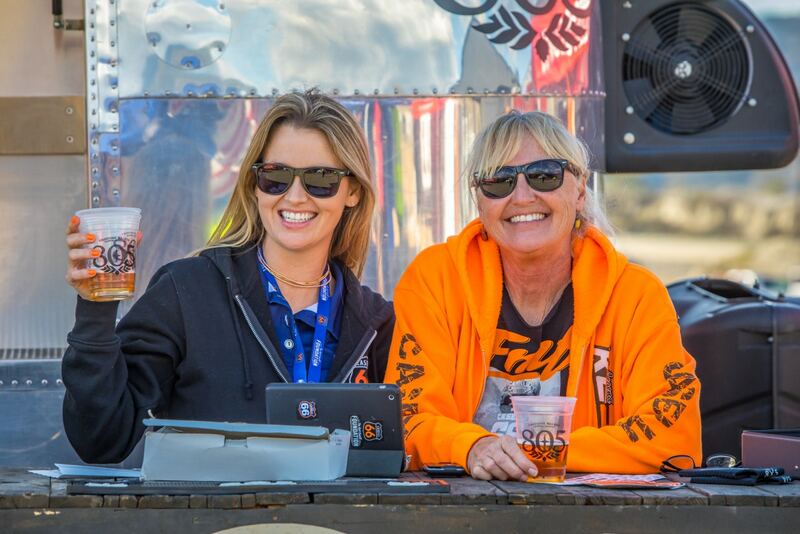 Press Release: Tis the Season to come and ride with us at Florida Motocross Vacations where it’s warm and sunny. 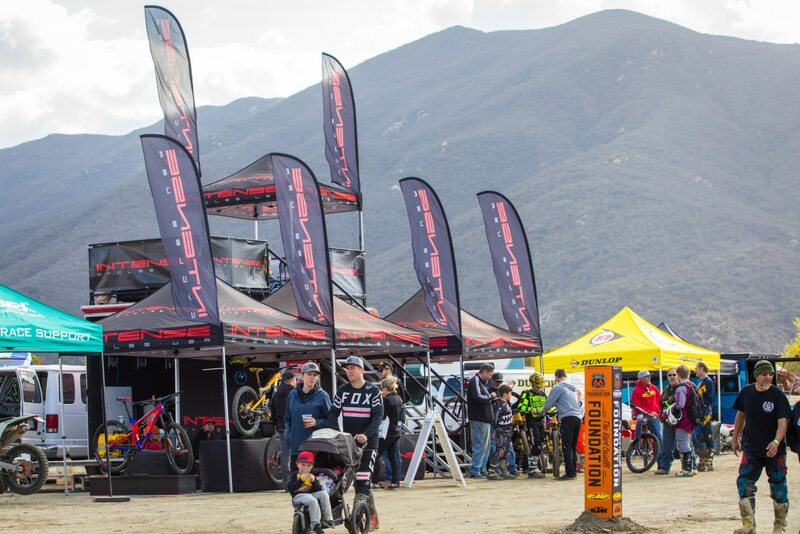 We will treat you like a factory pro rider providing you with everything you need for an amazing riding vacation or some serious racer winter training. 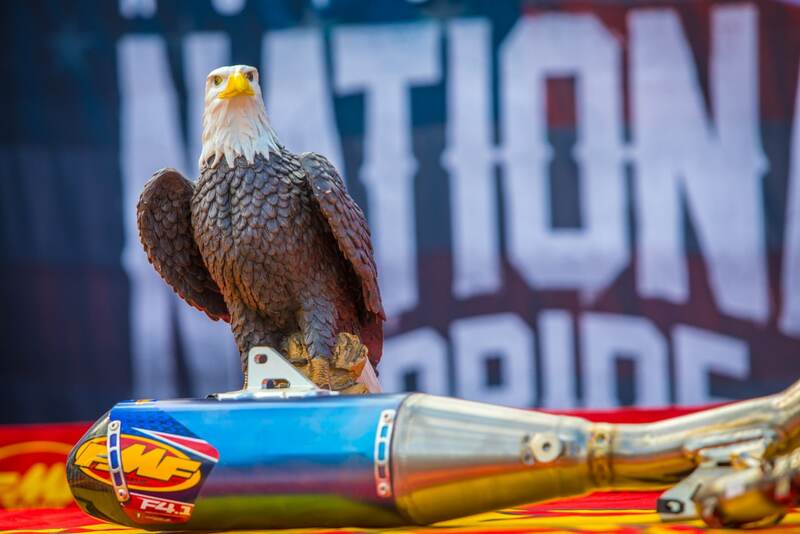 We will provide you with a new 2018 motocross bike, complete pit set up and rider support, taking you to the great tracks in Florida. 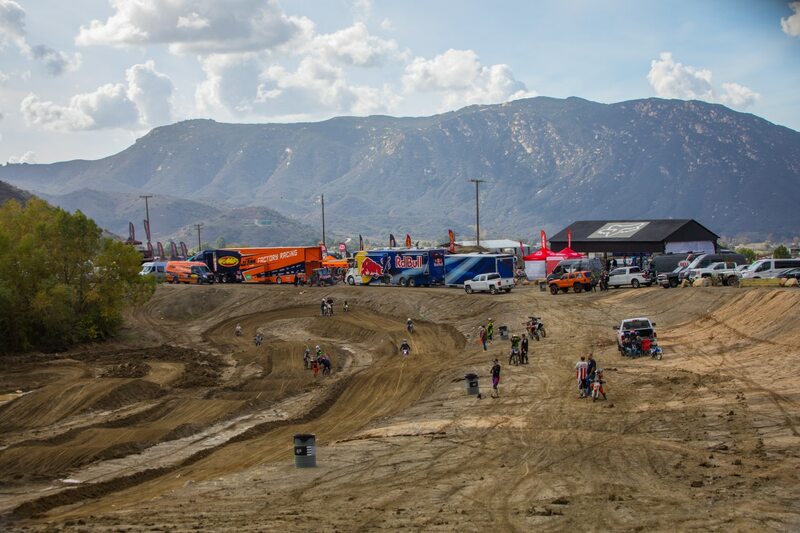 For the experience of a life time, visit the factory pro elite training tracks and facilities where many of the top motocross and supercross pros ride and train. 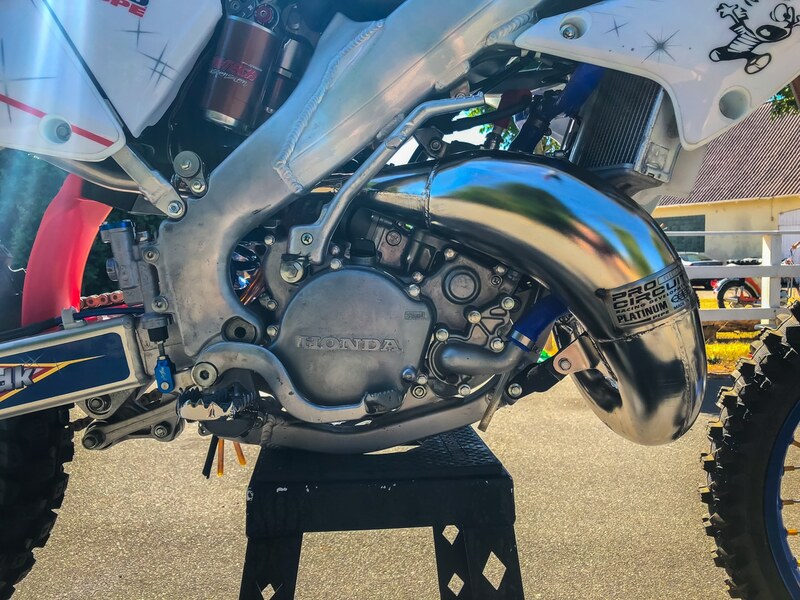 We can take you on a tour of the Baker’s Factory – Aldon Baker, The Stewart Compound and RJ Hampshire Geico Honda facility for an amazing experience. 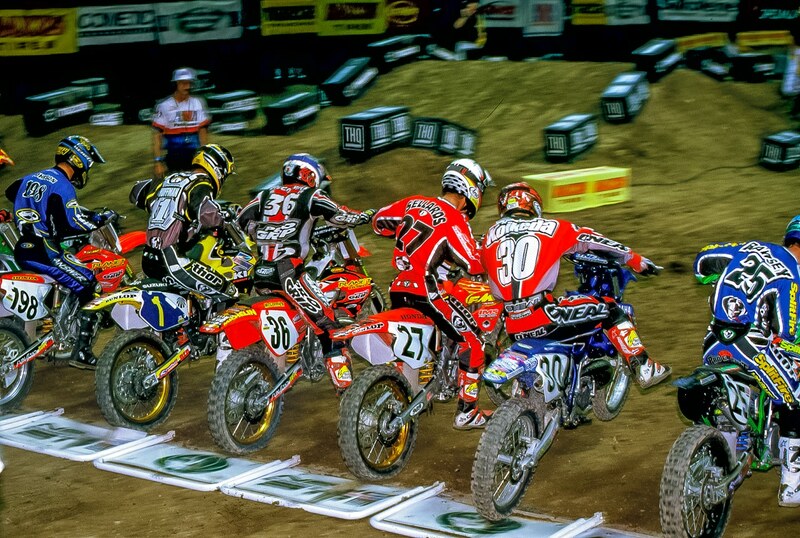 The start of the U.S Open of Supercross back in 1999. Damon Huffman won the first year in 1998 which is why he was running number one. Who is this Suzuki rider? 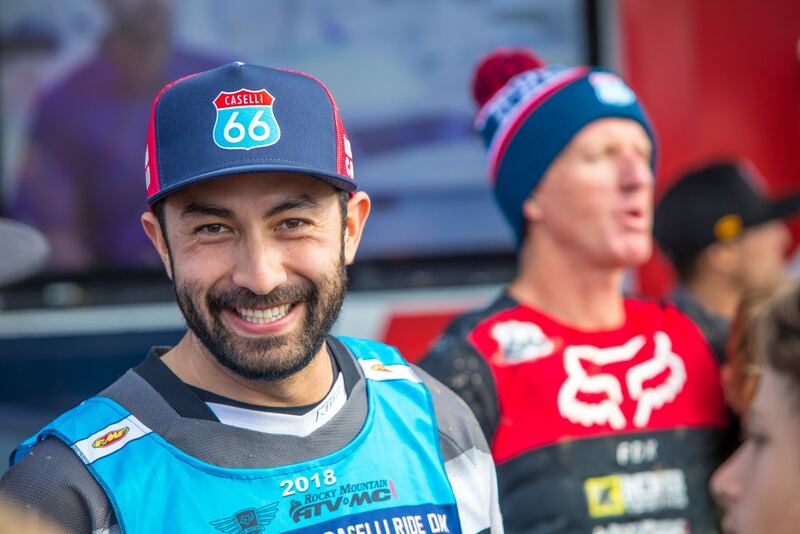 The answer is Buddy Antunez and the winner of the FXR swag is Adrian Spiker. 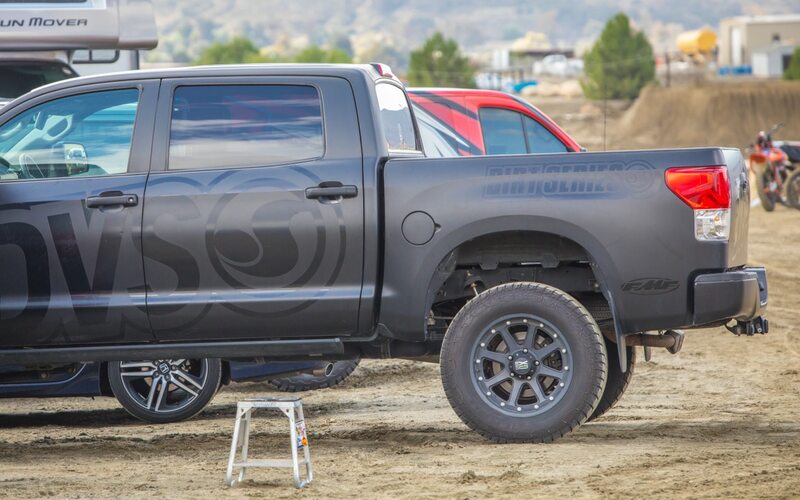 Moto Trivia answer: Brian Deegan.